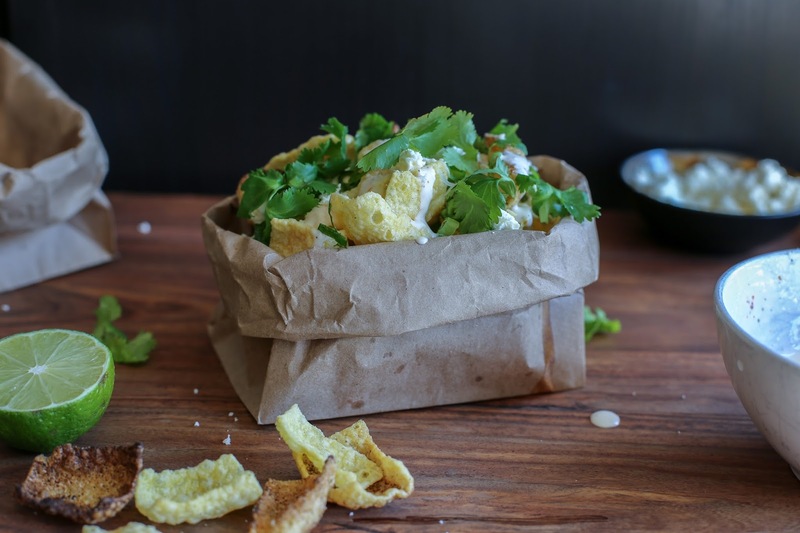 This recipe is inspired by esquites, a Mexican street corn salad made of grilled corn kernels covered in a creamy, cheesy, spicy sauce. Except instead of corn, we have these Korean corn chips. 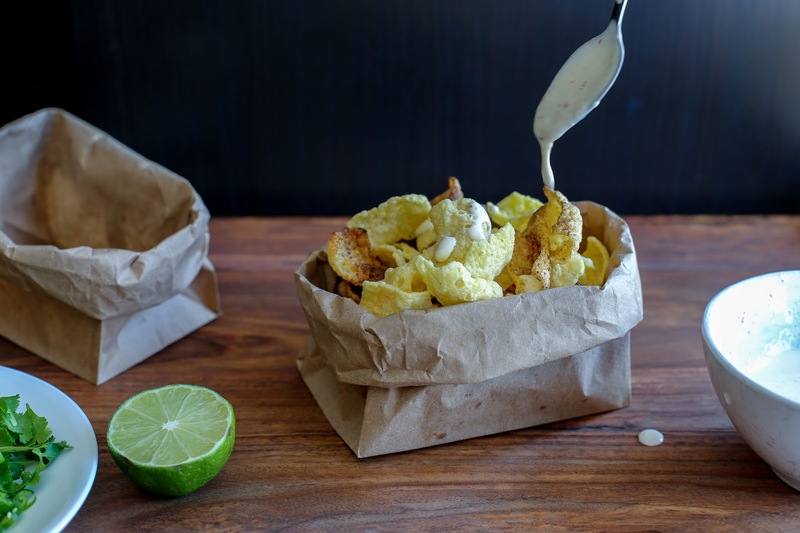 They’re kind of like esquites nachos and they are an amazingly delicious, crunchy, creamy, sweet, savoury, summer snack. This is also super easy to make in large batches and would make a great “do-it-yourself” snack at a party. Everyone can add as many toppings as they want. 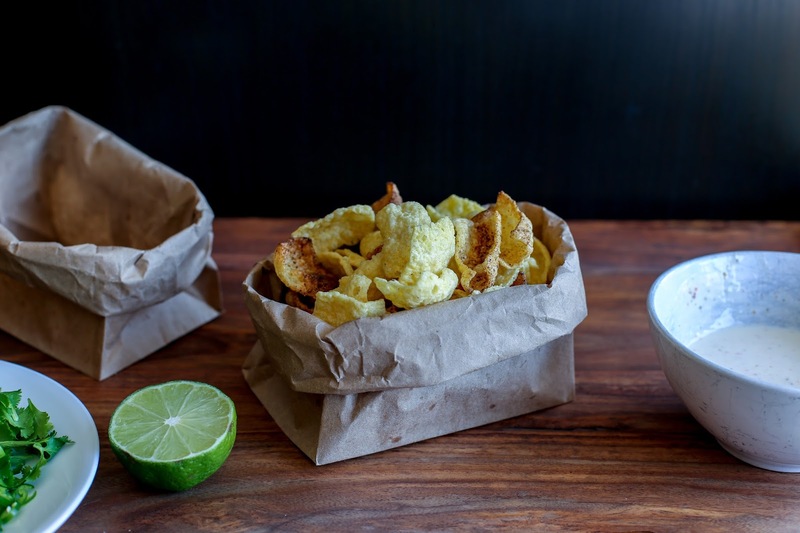 It’s time to make a trip to your closest Korean grocery store and hope they aren’t sold out. Place an oven rack in the second highest position and preheat the broiler (I don’t put it on the top so that it doesn’t burn so fast and I can control it better). 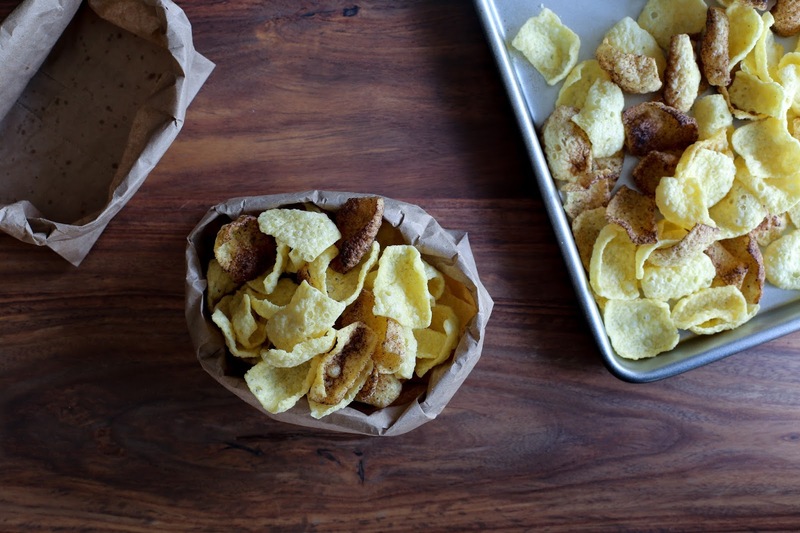 Spread half the corn chips on a parchment lined baking sheet. Broil for 1 minute and check on them. You want them to get brown, but it’s easy to overshoot and char them. Go in 20 second bursts until it looks right. Set aside to cool. 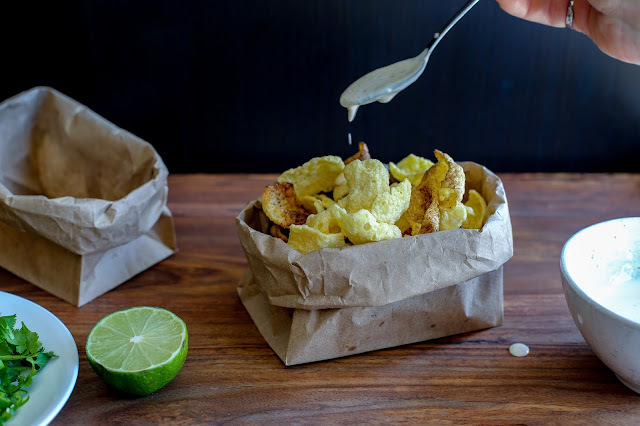 In a small bowl, combine mayonnaise, lime juice, garlic, chili powder, salt, and pepper to make a thick but pourable sauce (add more lime juice or mayo as necessary). 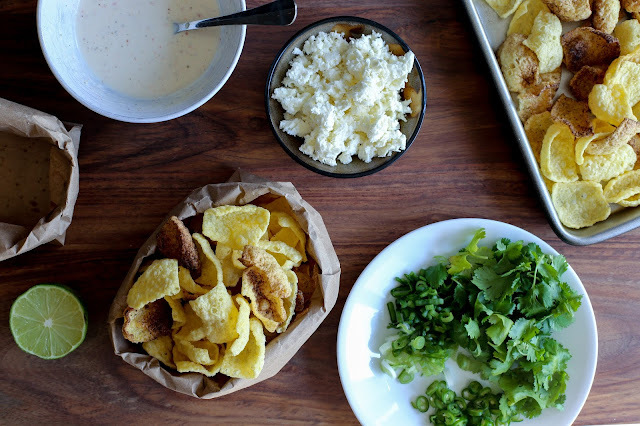 Arrange chips on a plate or in a bowl. Drizzle with sauce. 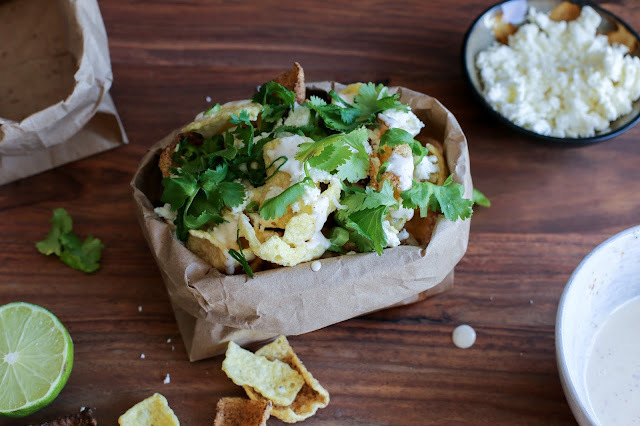 Top with green onion, cotija or feta, and cilantro. Enjoy!